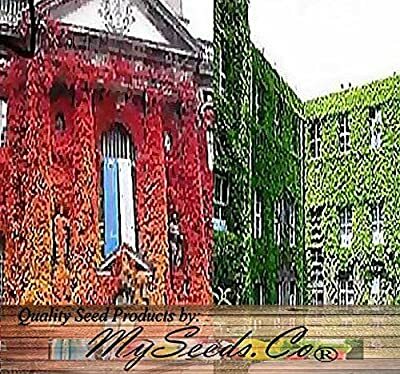 Product prices and availability are accurate as of 2019-04-14 14:58:45 EDT and are subject to change. Any price and availability information displayed on http://www.amazon.com/ at the time of purchase will apply to the purchase of this product. 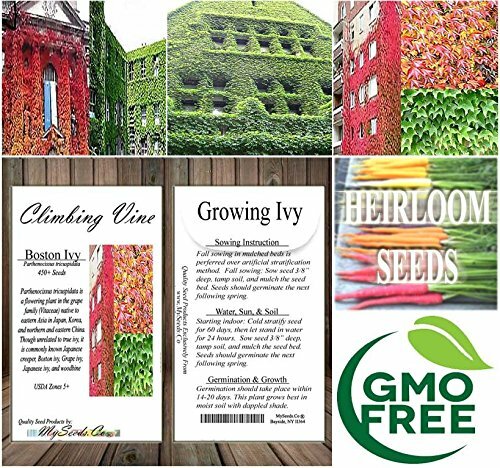 Grape Ivy, Boston Ivy, Woodbine, Japanese Ivy, Japanese Creeper Parthenocissus tricuspidata Parthenocissus tricuspidata is a flowering plant in the grape family (Vitaceae) native to eastern Asia in Japan, Korea, and northern and eastern China. 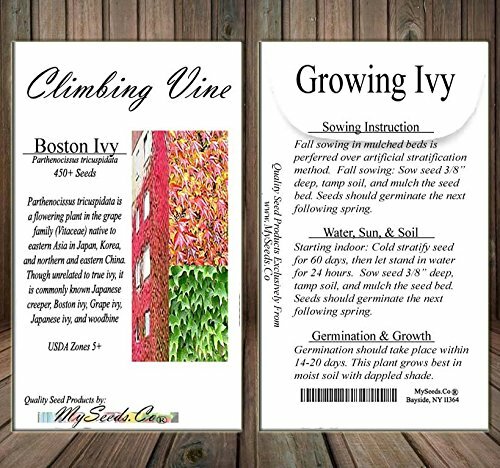 Though unrelated to true ivy, it is commonly known Japanese creeper, Boston ivy, Grape ivy,Japanese ivy, and woodbine (though the latter may refer to a number of vines). It is a deciduous woody vine growing to 30 m tall or more given suitable support, attaching itself by means of numerous small branched tendrils tipped with sticky disks. The leaves are simple, palmately lobed with three lobes, occasionally unlobed or with five lobes, or sufficiently deeply lobed to be palmately compound with (usually) three leaflets; the leaves range from 5-22 cm across. The flowers are inconspicuous, greenish, in clusters; the fruit is a small dark blue grape 5-10 mm diameter. 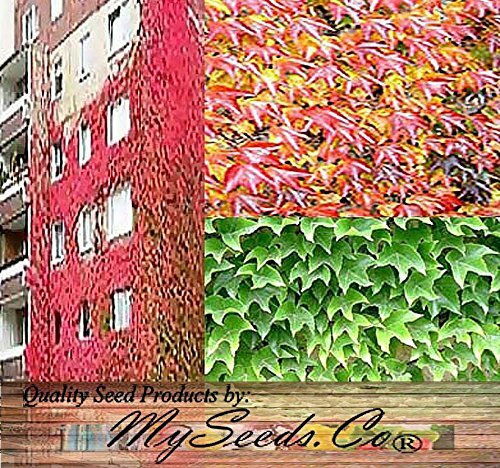 Cultivation and uses Like the related Virginia creeper, it is widely grown as a climbing ornamental plant to cover the façades of masonry buildings. 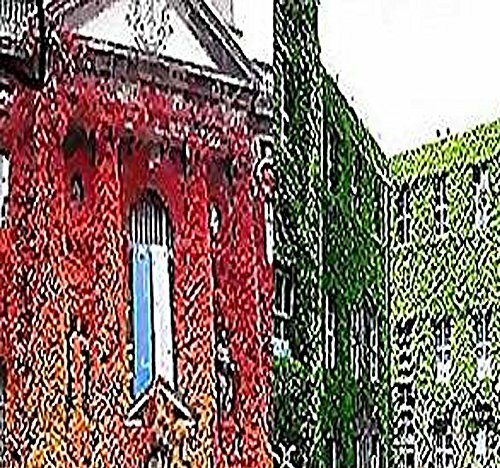 Its use for this in Boston, Massachusetts, United States has resulted in one of the alternative names. This usage is actually economically important because, by shading walls during the summer, it can significantly reduce cooling costs.Perhaps one of its most famous uses in the United States is the famous ivy covered brick outfield walls at Wrigley Field. 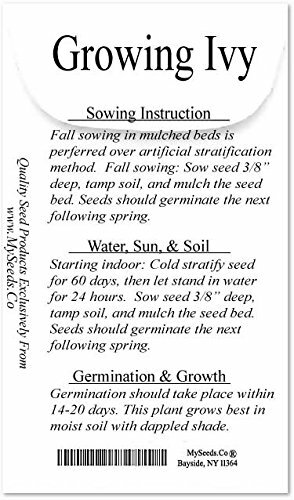 Growing Info: Scarification: Soak in water, let stand in water for 24 hours Stratification: cold stratify for 60 days Germination: sow seed 3/8" deep, tamp the soil, mulch the seed bed Other: an alternate treatment is to bury the seed in snow for 50 days can be fall sown without stratification. This Order = 1/2 oz (450+ Seeds) ~!! Zones 4 - 9 ~!! Flowering Plant In The Crape Family ~!! S&H is FREE or a Low Flat Rate ~!! See Description Below for OUR Special Offers and Product Promotions ~! !